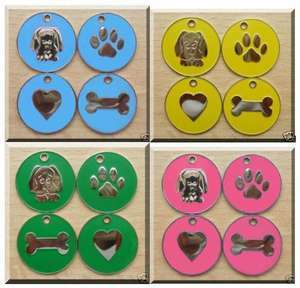 These Nickel Design ID Dog Tags are colourful and fun but hard-wearing for active dogs. 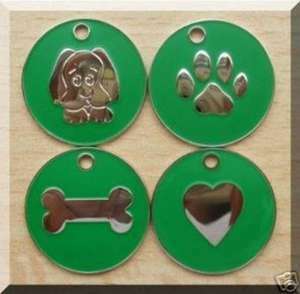 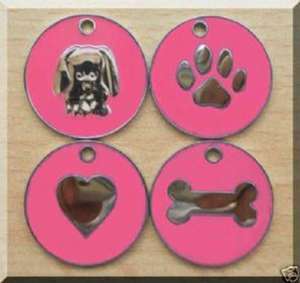 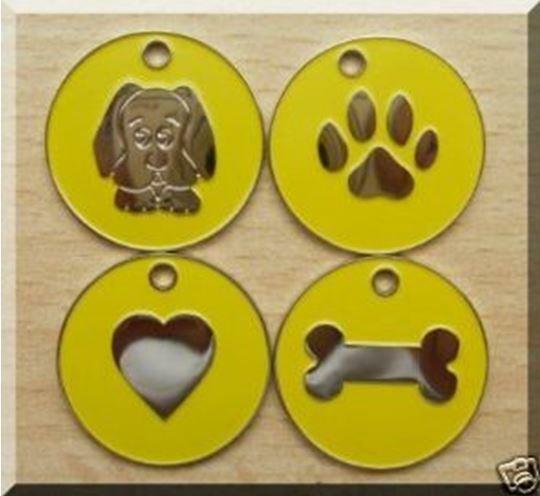 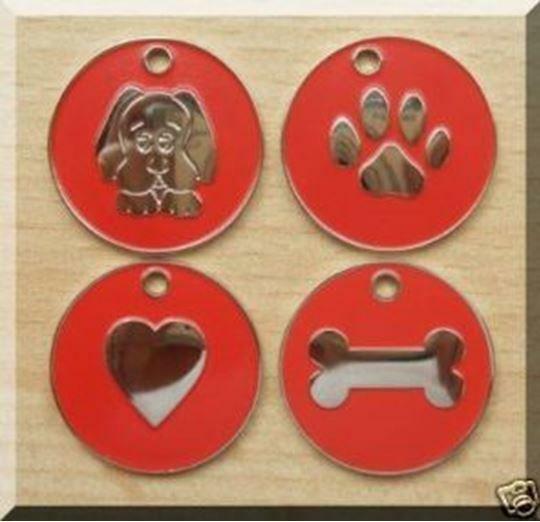 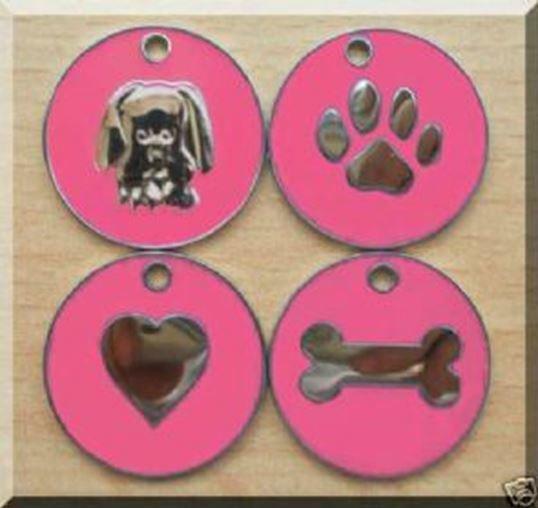 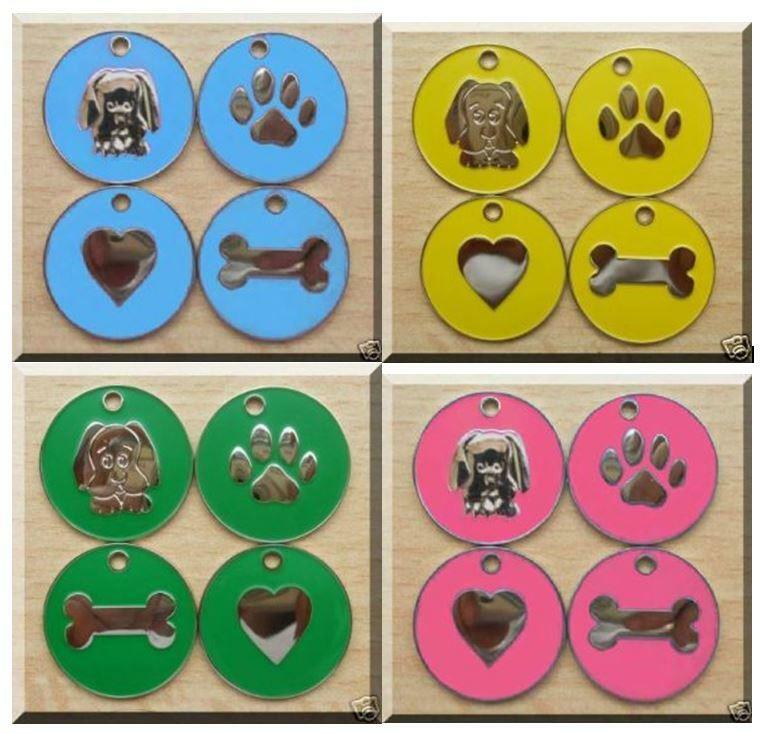 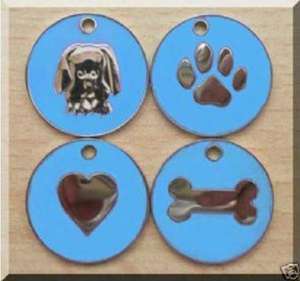 These Nickel Pet ID tags are made from a thicker nickel making them harder wearing than most tags on the market. 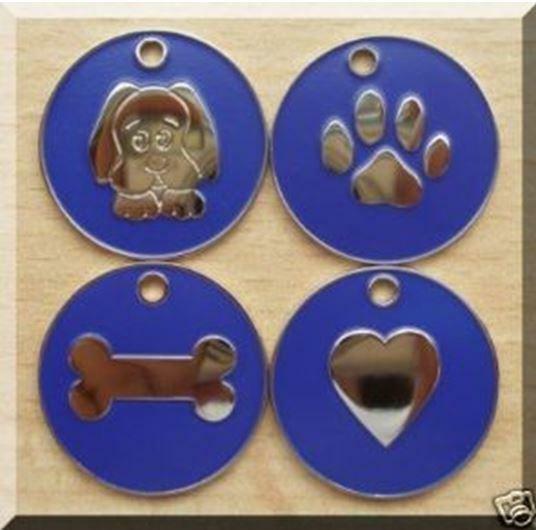 The highly polished design is set against a coloured tough enamel background which makes them stand out. All tags are supplied with a split ring for attaching to pets collar. Please advise us of your engraving instructions using either the comments box at checkout, our "Contact Us" form or by separate email.